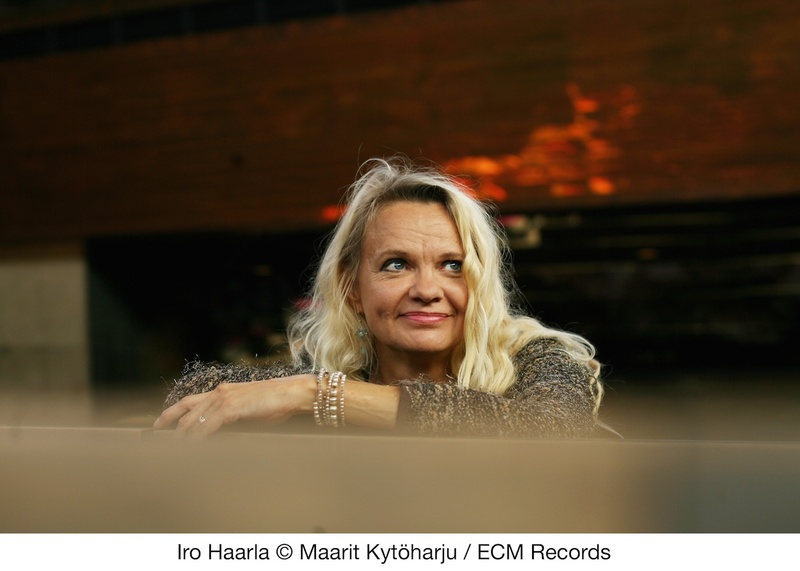 Out of her long association as arranger and orchestrator for Edward Vesala, harpist Iro Haarla showed listeners the breadth of her compositional powers in Northbound, which was but the springboard to all that awaits us in Vespers, her second leader date for ECM. Joined again by bassist Uffe Krokfors of Vesala’s influential Sound & Fury ensemble, saxophonist Trygve Seim, drummer Jon Christensen, and trumpeter Mathias Eick, she offers a set of nine originals. Haarla’s harp is like the clip of wing we see on the album’s cover, which lends context for the perspective we are so humbly granted. Her presence is equally atmospheric, every sweeping arc of light bringing us closer to the romantic blood that nourishes her themes. She combs our fears of flying from tangled minds, eschewing outright virtuosity for melodic integrity. The slowly turning mobile of “A Port On A Distant Shore” is a fine example in this regard. Seim’s tenor heightens the aerial sensibilities, each turn a children’s song resurrected by the lips of memory. The title track in the singular is more of the same. Dedicated to Haarla’s father, it stews in the nocturnal air of its eponym and unfolds the art of travel as if it were an accordion book. Both horns are a touch mournful here and through the keys link a chain of paper and ink, of action and word. Seim stretches his throaty limits and wails across the sky, ever the nomad holding his possessions to a body as slim as they are. Eick cries as if singing, sliding down a slope of ice and forgotten temptations into the view of “A Window Facing South.” Plush swells of harp strings accented by spark of cymbal and wick of bass breed color in the brass. The dialogue between Haarla and Eick here is remarkable—one a watery shimmer, the other a mermaid frolicking beneath. Meanwhile, Krokfors plays the part of a transient artist who commits bold lines to his sketchbook, drawing us into “The Warm Currents Of The Sea.” Much of that warmth is found in Haarla’s skeletal pianism. She paints impressionistic waves of sorrow and fondness in equal measure, lingering on notes as if they were incantations, the horns rolling over one another in foamy tide. The album’s highlight is by far “Satoyama.” The title is a Japanese term that refers to the area between mountain and flat land, and symbolizes the meeting of topographies at work in the album’s every tune. 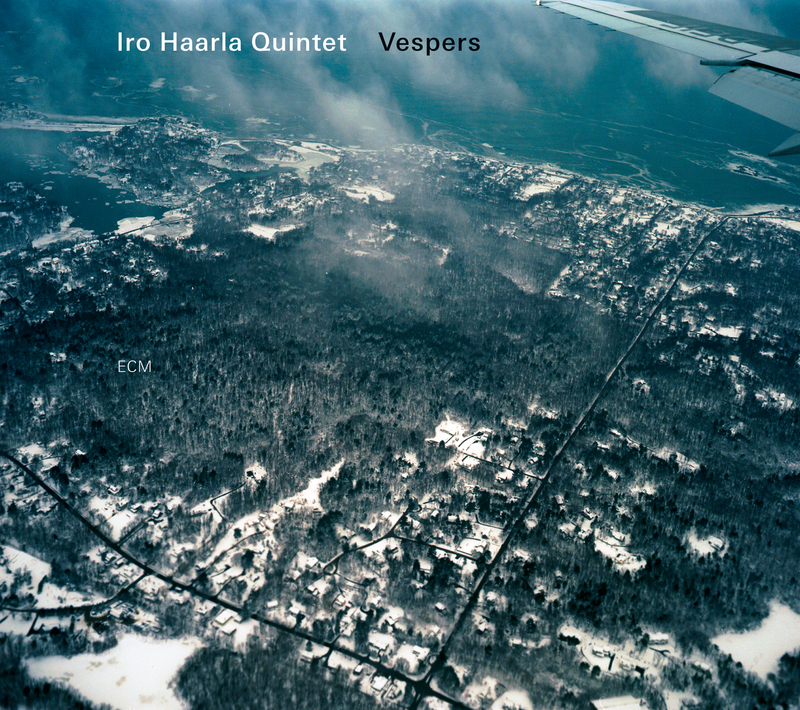 Seim now converts to soprano, trading flight patterns with trumpet over a snowy landscape. “The Shimmer Of Falling Stars” is a time-lapse photograph given life through music and shares the throne with its predecessor. Strained highs from Seim create a plangent emotional effect. Yet the journey must end, “Returning Home” in a slow drizzle nonetheless stirred by a need to move forward. The luscious, John Taylor-esque pianism and diaristic bass solo exhale the final “Adieux,” as much beginning as end. Eick carries us out, if not down, returning us to Earth for a soft and bittersweet landing. Vespers feels like a winter’s morning. When you first walk into it, the air is frigid and still. One deep breath, however, and its crisp freshness invigorates. You are awakened. You are ready. What a line up – all my favourite people and all that water and ice in the landscape!